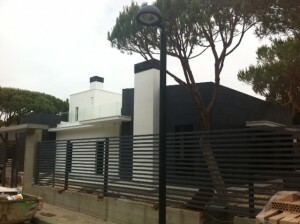 REAL ESTATE INVESTMENT IN SPAIN: GESTECO, BUILDING CO SL, SL OSBORNE & TC, SLP PROJECTS.. The GESTECO and OSBORNE, technical consultants, ARCHITECTURE AND URBAN PLANNING ENGINEERING SLP companies are collaborating on studies investments International Investment Funds that are seeking products for Promoting New Investments Real Estate in Spain. That is why in specific sites of the Peninsula such as Madrid, Barcelona and Marbella, equity investors is managed or interested in buying and selling of real estate product, with the added value of providing the service "turnkey", by which we will accompany customer since the acquisition of the property or investment study, to the Study and Development of Architectural Design and Engineering, construction and construction management. To do this, we have specialized team of architects, as well as Osborne D. Alvaro Gutierrez, specialized in studies of equity investments and developments Construction or Industrial Engineering with Joaquín Gutiérrez Osborne ahead. Since the company GESTECO, SL buildings of all types are studied, with a team of specialized work of officers in charge of works and laborers, led by Director of Works graduates. All carefully prepared to avoid diversions of works and ensure investment returns are maximized for customers with D. Francisco Sanz and D. Alvaro Address Osborne Gutierrez in the technical and commercial coordination. As a result, investments have studied more travel and safety is expected of them. Companies play the work in the aforementioned areas, and with optimum results. I leave some links for you to observe the products worked. High profitability of real estate investments in Spain. The moment Spain is very highly profitable real estate investments. All this due to the high stock of buildings (housing, offices, ..) and low price make around two to three years investments recaloricen be a safe value rentabiliad long term. 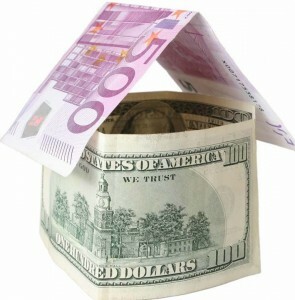 Housing prices are well below the European average. Today who can invest in real estate, you should invest contratio what would be missing a great opportunity, especially international capital since the housing abroad is still much more expensive than in Spain. For reference, there are several publicaiones in national newspapers http://www.elmundo.es/elmundo/2013/10/10/suvivienda/1381396145.html . Opportunity Panama: a great country to build and invest. Panama is taking a quantum leap in the world panoarama graciasl its huge expected growth of around 10%. This growth is thanks to the famous Panama Canal it the second logistics maritime space in the world. The large investment in Panama, Panama Pacific. In Panama you work in dollars, creating economic stability and confidence unmatched to other South American countries, and also with a population of over 3 million inhabitants, Panama has a great future that is open to the future. Canal capacity, now limited to an average of 30 ships per day will increase, which will provide a much more dramatic than it is today getting revenue. That is why, they are creating new logistical areas and new developments for new developments Canal heat. 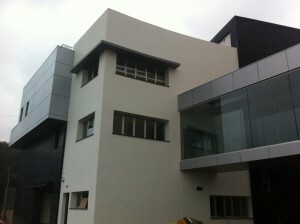 This case is "Panama Pacific" http://www.panamapacifico.com/ This luxury development is can to develop housing and industrial, commercial and office buildings. This investment opportunity is developed in the following promotional video; http://www.youtube.com/watch?v=MdIPXOHtMy4&feature=player_detailpage the company develops green areas and large commercial spaces are being built. This offer is completed with golf courses, large sports areas and school zones and training and their own residents. The two group companies have collaborated to build a luxury home in the urbanization "Roche" in Conil near the Bay of Algeciras Sotogrande in southern Andalusia. In it, we have developed design details and finishes of contemporary lines designed by the architect Álvaro Osborne Gutierrez, who simplifying spaces and using an architecture where volume is the protagonist, has created a spectacular work. In the two-story house, the predominant design and functionality of spaces, dumped in the back room where the pool is. The interior spaces of the hall include the room, with a spectacular fireplace and a facing south and protected by flights to create a bright and light living space. The volume and living space much development a transcendental work in the home, where comfort of it is a fundamental premise, which, together with vangurdista decoration make the house a special building that makes you want to live. 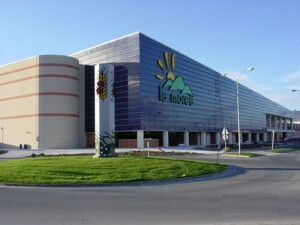 MOVEX: The design and characteristics of the most representative of the Sierra de Cádiz building. A. 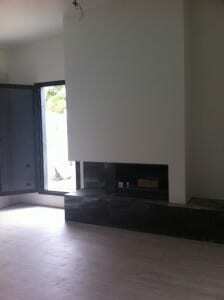 Project and direction of works and installations. Architect. Alvaro Gutiérrez D. Osborne. Engineer Ind. D. Osborne Joaquin Gutierrez. MOVEX building a worldwide relalidad Skin. The Leather Technology Centre, MOVEX, Built in Ubrique becomes clear example of a consistent architectural building with the times. The work of Álvaro Osborne Gutierrez is an example of adaptability to the environment. MOVEX: The singular architecture space. The construction works of the Leather Technology Centre (MOVEX) in Ubrique will excellent pace and a masterful use of finishes using modern reference materials in the world. Ventilated façade finished with metal panels trademark of Alucobond, vented coating black quartzite natural stone, stucco and even color under continuous coating chamber ventilated STO, make a spectacular building dedicated to innoveción Skin and its derivatives . 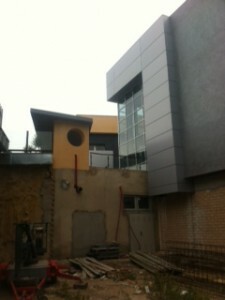 The edifici, still under construction, shows a spectacular quality of design and shapes. The Work of the "Cortijo Shower" and its broad impact on the technical means. 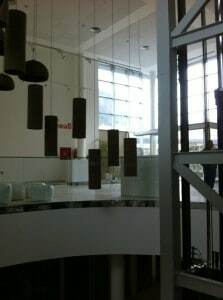 The leisure complex, sport and Hotel "Cortijo Shower" was and is a leader in the construction of new hotele s in Jerez. The Hotel Cortijo Shower is a clear example of comfort and design, coupled with efficient construction. The business of building shopping centers on the rise in emerging countries. China remains a reference for the real estate sector. The growth of the country, an amazing exponent, so it goes so that they are creating an incredible amount of buildings. OSBORNE Engineering Study, technical consultants ENGINEERING AND ARCHITECTURE PLANNING, SLP ( www.osbornetc.com ) is a technical office with a team of over 15 professionals available to Customers with their services. Osborne Technical Consultants, SLP a reference in the world of engineering. You are viewing files OSBORNE Blog - Architecture, Engineering, Real Estate and Urban Planning of Architecture Projects category. Confirm your subscription via the link you receive in your e-mail.